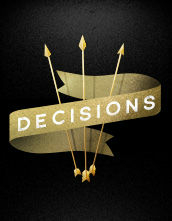 A 4-part video-driven Youth Bible Study - Warrior. Liar. Hero. Murderer. King. Warrior. Liar. Hero. Murderer. King. Hollywood couldn't write a more conflicted and compelling story about a boy who would become king. But this humble shepherd boy who became the greatest king of Israel also struggled with sin, authority, purity, and integrity. 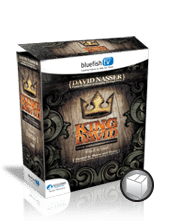 In these four inspiring sessions, David Nasser looks at the trials, temptations, and triumphs that King David faced and shows how the truths found in David's life are relevant to the real-life issues students encounter every day. 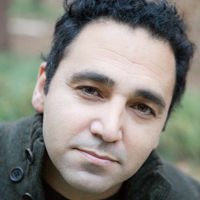 David Nasser is the Senior Vice President for Spiritual Development at Liberty University in Lynchburg, Virginia. David is also the founder of D. Nasser Outreach and Christ City Church near Birmingham, Alabama, where he most recently served as Lead Pastor. He has written Jumping Through Fires, Glory Revealed, Grace Anatomy, and A Call to Die and speaks to more than 500,000 people each year at various events across the country. David and his wife, Jennifer, have two children.